‘Nagaland for Christ’ and ‘Jesus Saves’ are familiar slogans prominently displayed on public transport and celebratory banners in Nagaland, north-east India. They express an idealization of Christian homogeneity that belies the underlying tensions and negotiations between Christian and non-Christian Naga. This religious division is intertwined with that of healing beliefs and practices, both animistic and biomedical. This study focuses on the particular experiences of the Angami Naga, one of the many Naga peoples. Like other Naga, they are citizens of the state of India but extend ethnolinguistically into Tibeto-Burman south-east Asia. This ambiguity and how it affects their Christianity, global involvement, indigenous cultural assertiveness and nationalist struggle is explored. Not simply describing continuity through change, this study reveals the alternating Christian and non-Christian streams of discourse, one masking the other but at different times and in different guises. 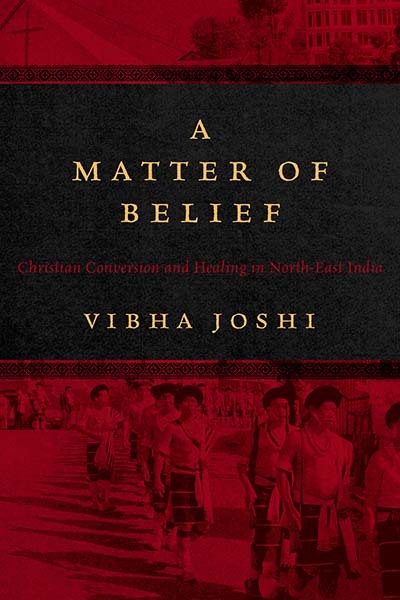 Vibha Joshi was a research fellow at the Max Planck Institute for the Study of Religious and Ethnic Diversity in Göttingen, Germany, from 2009–11 and is presently a research associate at the Institute of Social and Cultural Anthropology, Oxford University, where she gained her doctorate in social anthropology. She has conducted extensive fieldwork in Nagaland, northeastern India, since 1985.